While looking for valuables in an abandoned tomb, two BOLKINS (short sheep-faced beings) accidentally release a ghostly renegade named GRUNE. Stealing into the Cats’ Lair, GRUNE drains the fortress of their power source Thundrillium and goes on to destroy a WOLLO village and forge a mighty weapon from a fire-rock of Thundrainium, a unique substance that weakens the THUNDERCATS. JAGA appears to wage a final battle with GRUNE, having fought with him long before on the planet ThunDERa. Weakened by the Thundrainium, JAGA is losing. 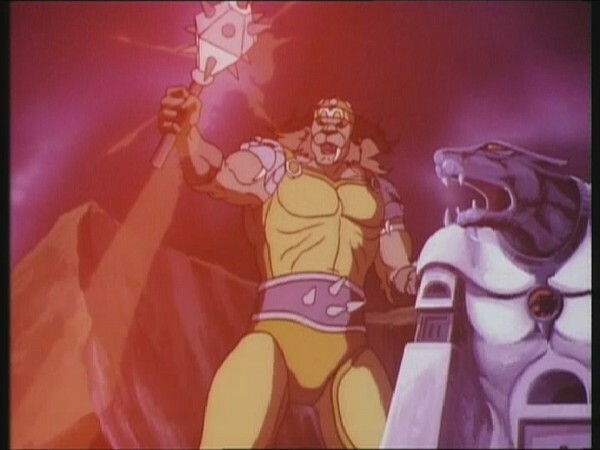 LION-O risks his life and projects all his strength into JAGA’s failing form, tossing him the Sword of Omens. With this boost of ThunderCat power, JAGA defeats the ghostly warrior, blasting GRUNE into nothingness. 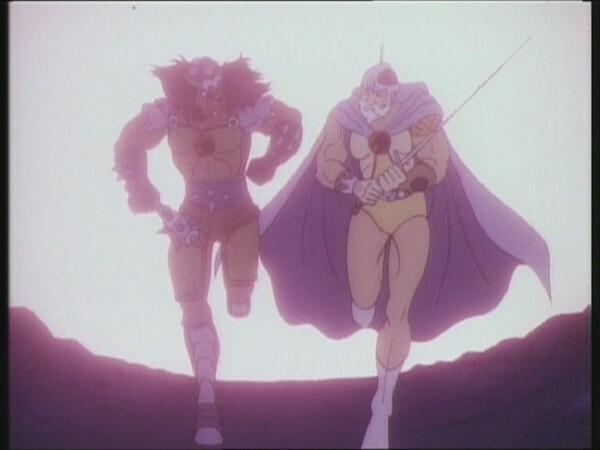 JAGA returns the Sword to LION-O just in time for the Lord of the ThunderCats to survive. The decision by the Bolkins to commit wrongdoing for economic gain results in unforeseen negative consequences by releasing Grune, the former ThunderCat. Grune has betrayed the Code of Thundera for the sake of greed and self-advancement. When Grune threatens to destroy the ThunderCats and wreak revenge on Jaga, Lion-O and Cheetara make life-threatening sacrifices to help Jaga and defend their society. Jaga ultimately permits Grune to determine his own destruction by honestly revealing his evil intentions rather than letting him pose as a false friend. This episode illustrates that the skills and talents each of us possess must be appraised honestly, based on our performance. And our skills must be used appropriately for the welfare of all and not for our own selfish motives. The heroic sacrifices and appropriate use of talents and skills of Cheetara, Lion-O, and Jaga counter Grune’s ruthlessness and misuse of his talents and gifts. The cohesiveness and welfare of society depends on every individual’s contributions to the common good. For me personally, this is one of the very best ThunderCats episodes out of the entire series of 130. If you analyze elements of it you can actually find some quite noteworthy writing flaws, and it raises questions that are never properly answered within the context of the series. And yet, for all of this, the episode has a special “vibe” surrounding it that enthralls and captivates, refusing to be denied your attention. 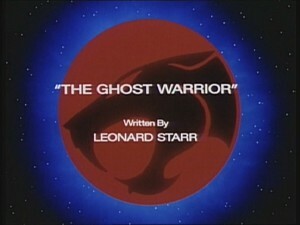 Although obviously handled tastefully because of the show’s target audience, “The Ghost Warrior” is arguably one of the series’ darkest offerings, dealing with the release of a fearsomely powerful ghost from his tomb, a vengeful warrior hell-bent on the ThunderCats’ destruction, and (perhaps most notably of all) a being who showcases the corruption of the Thunderian psyche. On both occasions when the ThunderCats are confronted by Grune, the threat he poses feels real and tangible, and the sense of hopelessness that the ThunderCats feel when pondering how to fight Grune is easy to understand. Another special element of this episode is that it subtly touches on a theme briefly showcased in the pilot episode, “Exodus”, and that is a type of almost “ThunderCat mysticism”. When Jaga dies in “Exodus”, we see him disappear, and return in spirit form to advise Lion-O (à la Obi-Wan Kenobi in the original Star Wars movies! ), and we later learn that Jaga has ascended to the Astral World, presumably a higher plane of existence equivalent to an afterlife. 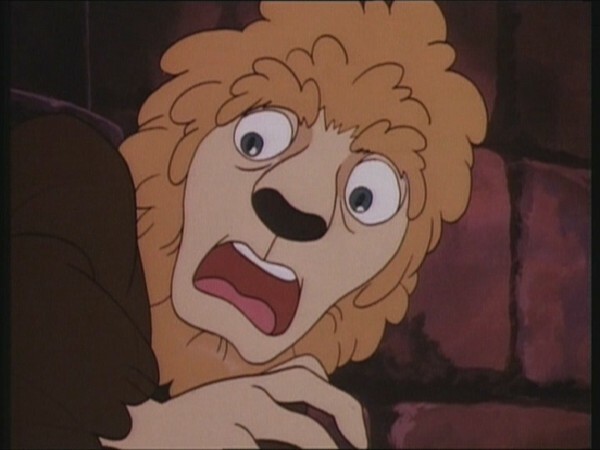 It would seem that some ThunderCats are able to return to the mortal realm in spirit form, as is evidenced by Grune the Destroyer’s appearance in this episode, and much later by that of Claudis in “Shadowmaster”. 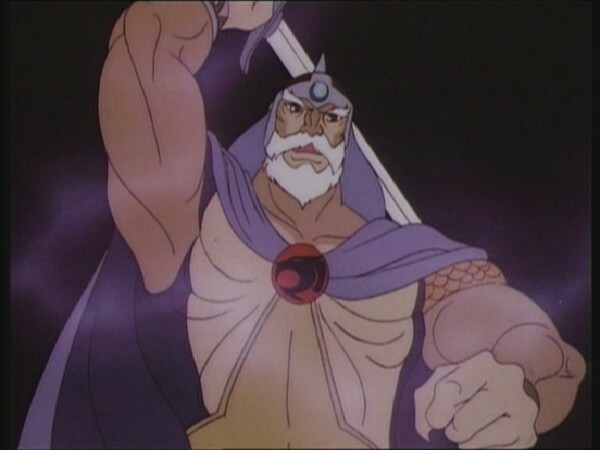 Although tastefully approached, it is obvious by the fact that Grune landed on Third Earth centuries earlier, and that his ghost was sealed in a tomb, that Grune actually died; and clearly, for him to be manifesting himself as a ghost and interacting with the ThunderCats, he ascended to a higher plane in much the same way as Jaga. 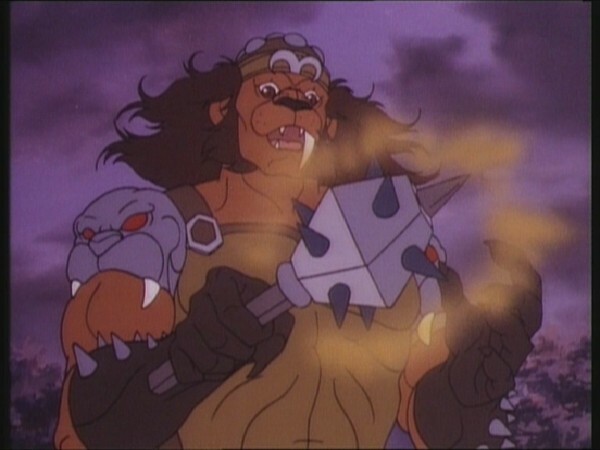 In fact, Grune’s ghost form would appear to be even more powerful than Jaga’s, for, whilst Jaga only appears as a guide to Lion-O but has no physical presence, Grune is actually shown interacting with physical objects, such as when he destroys the Wollos’ village or forges his Thundrainium club. 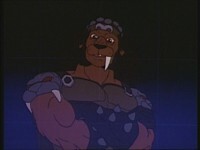 How this is possible is not explained, but one theory would be that Jaga chooses to take a more passive role in the ThunderCats’ lives on Third Earth because he knows Lion-O needs to take certain actions and experience certain things in order to grow into the sort of leader the ThunderCats need. This, however, is all just conjecture. 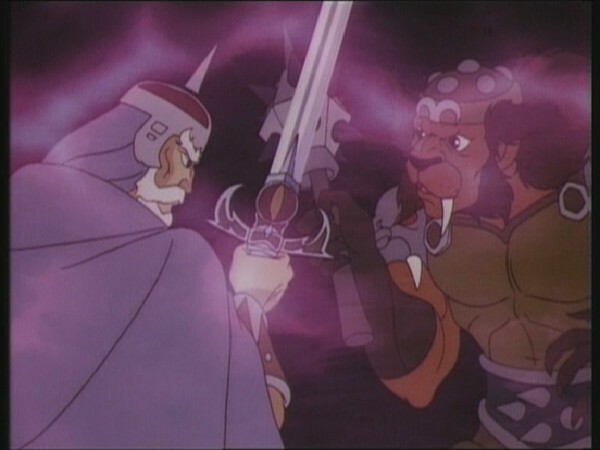 This aside, the image of the two giant spirits, Jaga and Grune, battling in the skies above Cats’ Lair is one of the most striking and memorable of the whole series, and is also one of the only occasions where the other ThunderCats (aside from Lion-O) actually see Jaga in his spirit form! The introduction of Grune is also a brilliant move, one that adds a great deal of realism and believability to the ThunderCats and their civilization. When looking at such noble and good characters as the ThunderCats, it would be easy to assume that Thundera was just a paradise with no conflict, populated by somewhat two-dimensional civilians. However, the character of Grune and his army of followers shown in Cheetara’s vision show that this was not entirely true—that Thundera, like Third Earth (or indeed, our Earth!) had its unsavory elements, and that even those who carried the mantle of ThunderCat could become corrupted. This is brilliant writing by Leonard Starr, and a testament to how well thought out and imaginative the ThunderCats universe could be in the hands of its best writers. 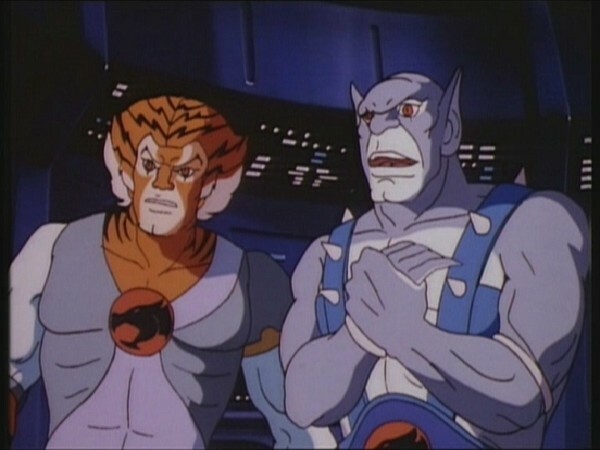 This episode also marks a subtle evolution as to the ThunderCats’ “status” on Third Earth. This is the first episode to show a band of Third Earthers coming to the ThunderCats for help. Clearly by this time the ThunderCats have succeeded in earning the trust of their adopted planet’s peoples, and this is a lovely little touch inserted cleverly into an action-packed and highly eventful episode. Another noteworthy character-based event in this episode is the first appearance of Cheetara’s sixth sense. Cheetara played a pivotal role in previous episodes such as “Trouble With Time” and “Pumm-Ra”, always as a strong lead character who could stand up for herself and save the day, and this is a trend that would continue for the rest of the series. However, with the introduction of her sixth sense, the writers give her an Achilles heel for the first time, in a most ingenious fashion–a gift that is both an asset and a curse, and which will play a crucial role in future episodes. I could rave about this episode for many hours. 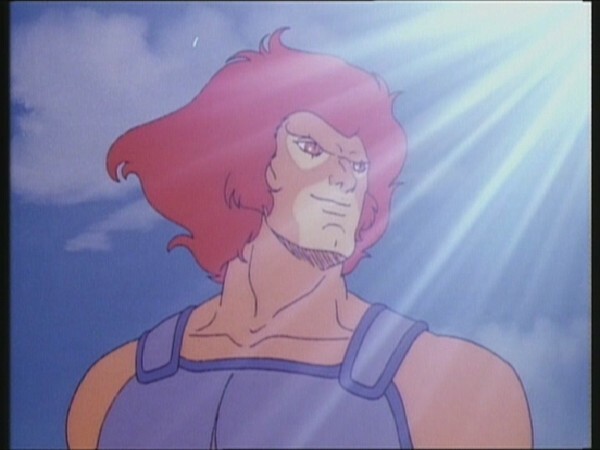 Whenever I think of my love for ThunderCats and why I think the series was special, my mind will invariably come back to this episode, one that is mature and gripping, yet full of the escapism and adventure that makes ThunderCats captivating viewing for young and old alike. In short, I love it! This episode introduces us for the first time to yet another diminutive Third Earth race, the Bolkins. These creatures were described in official Rankin/Bass literature as bearing a resemblance to sheep! Throughout the entire ThunderCats series Lion-O is advised by the spirit form of Jaga. 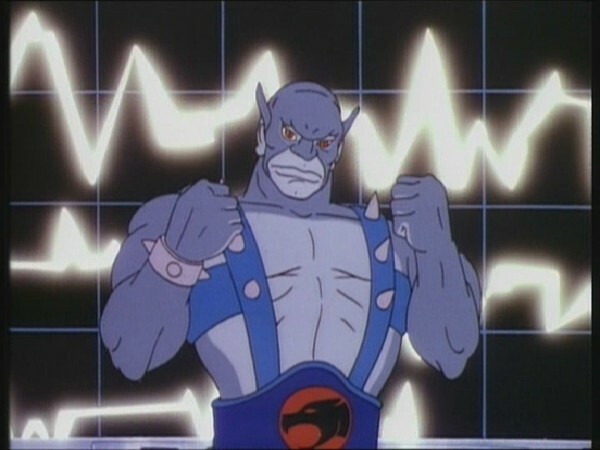 However, this episode marks one of the only occasions where the other ThunderCats are also able to see Jaga! Another interesting detail is that, when Jaga appears to Lion-O, he is normally depicted in a blue-and-grey color scheme to signify the fact that he is a ghost. Yet for this episode the animators show him with his original color scheme as seen previously in “Exodus” and subsequently in “The Astral Prison”. 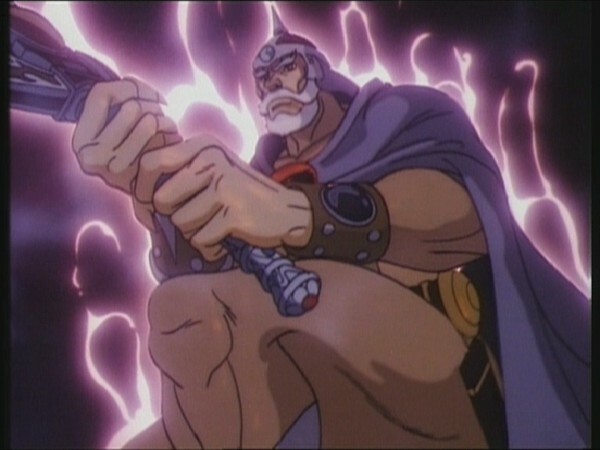 In this episode, Grune the Destroyer forges himself a battle club from Thundrainium, a substance that weakens ThunderCats. However, something that is not explained is why the Thundrainium does not affect Grune, given that he’s a Thunderian and a former ThunderCat! If the reason it has no effect on him is because he’s a ghost, this then begs the question, why does it have an effect on Jaga?! 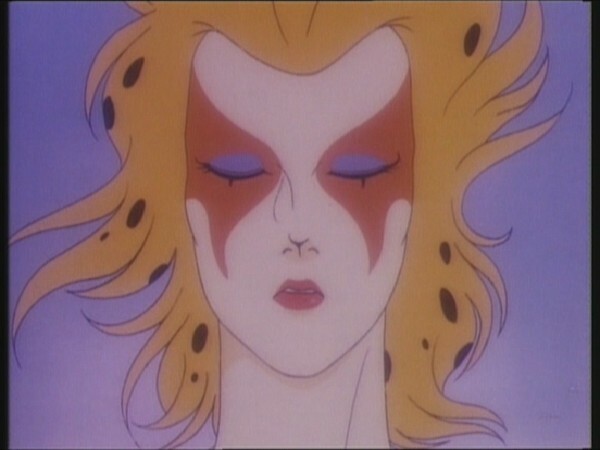 This episode features the first appearance of Cheetara’s sixth sense abilities, which would be focused on in greater detail in future episodes, most notably “Sixth Sense” and “The Telepathy Beam”. 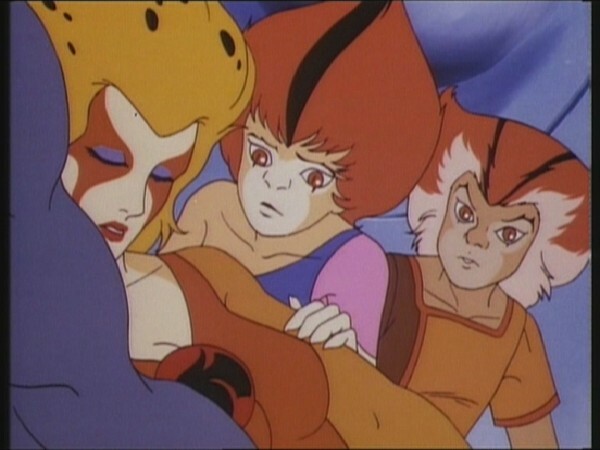 While helpful visions would appear to Cheetara throughout the series, the self-induced trance visions would only be used again in “ThunderCats Ho! Part One”.